Learn how to make this lovely cake suitable for lots of occasions from birthdays to weddings to Mother's Day. 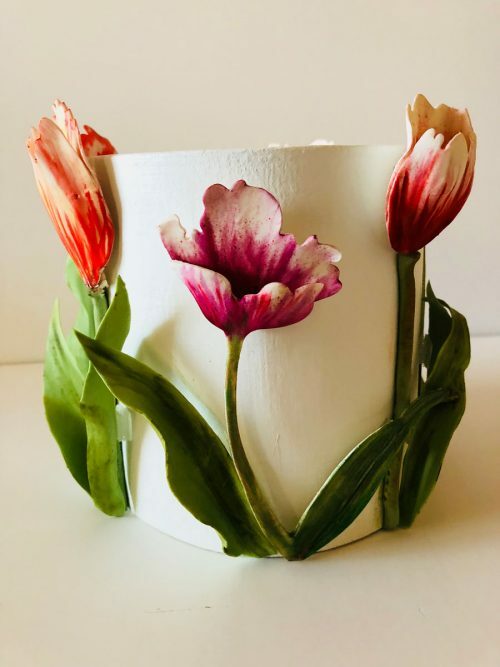 The tulips are 2D but they look 3D with the "layering technique" developed by Ximena. 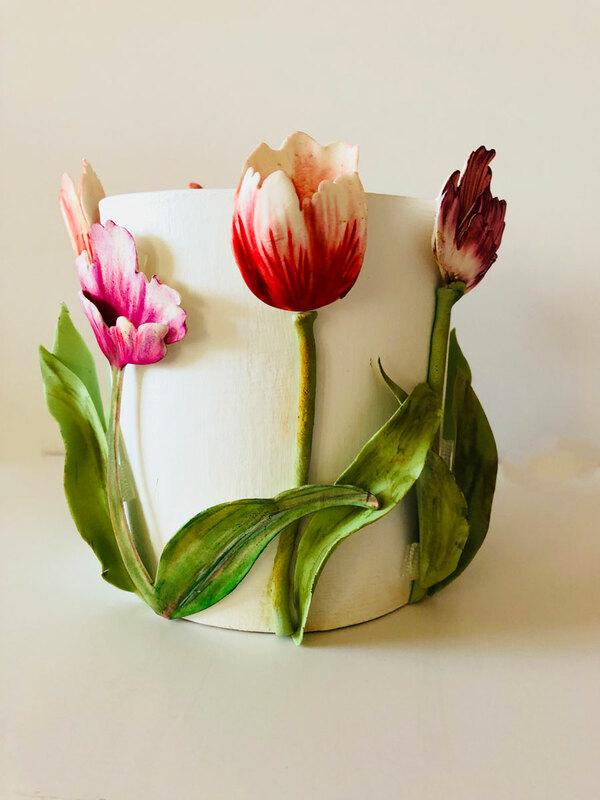 You will learn how to paint the tulips without having the experience of Rembrandt.